High waisted straight silk dress with V or slash neck with tartan lined detacheble train. Made to measure in your choice of colour and available tartan. 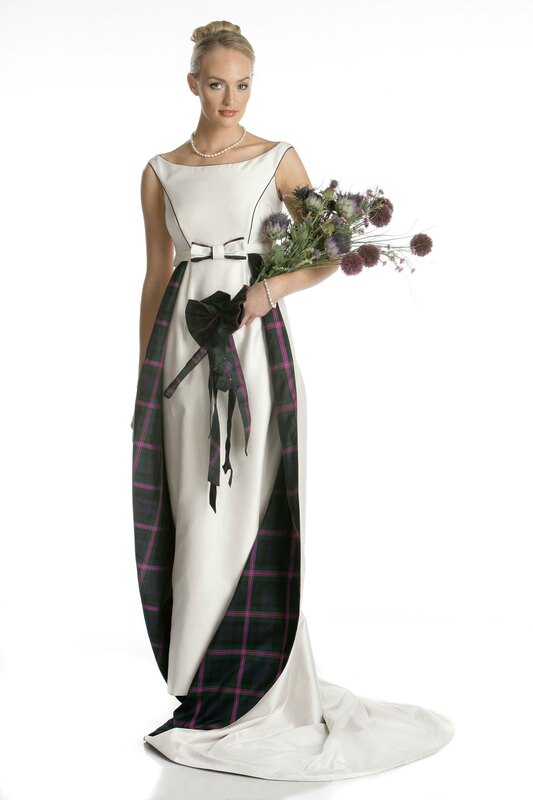 Sample shown in silk tartan, designed by Joyce Young and exclusively available from By Storm stores in Glasgow and London.